I am so happy that September has finally arrived! The days are getting shorter and the Fall season is at our doorstep. For many of us, it is one of the most favorite seasons of the year. Last year, we did our first pumpkin patch trip to a nearby farm. And even though my boys can hardly remember it, I can’t wait to take them again this year. They will certainly enjoy it with all their senses, being toddlers and all. 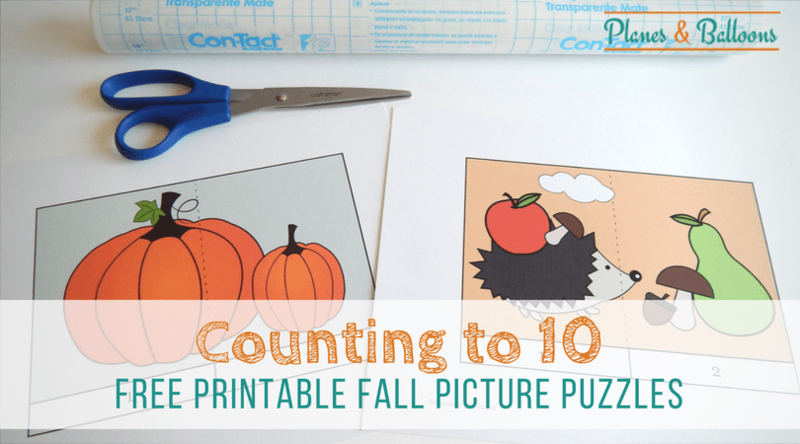 With all of this going through my mind lately, I can hardly stop all the Fall craft ideas coming. My list is certainly longer than the hours in one day allow me to do. But at least I can try. 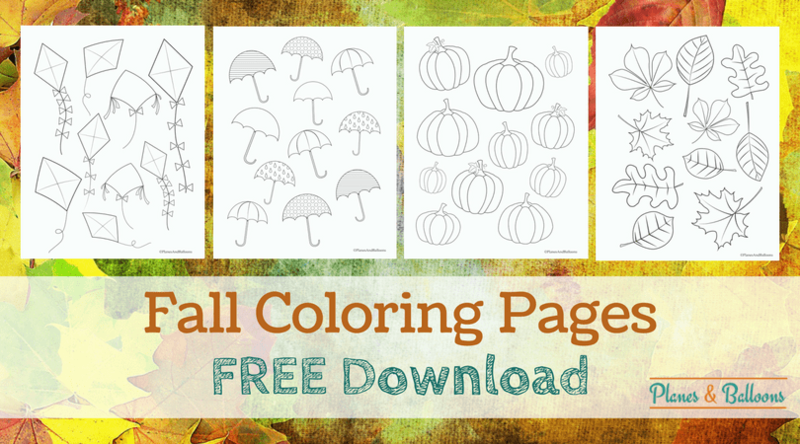 Just today I finished another Fall printable. 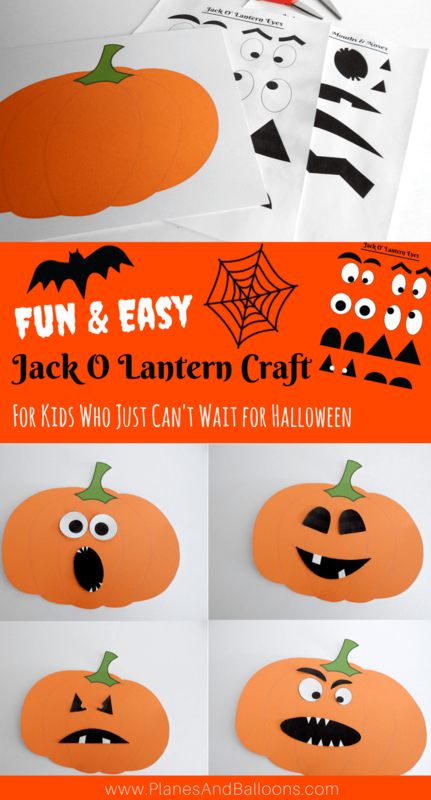 A Halloween Jack O Lantern craft for kids to make. Looking for some more Fall activities? 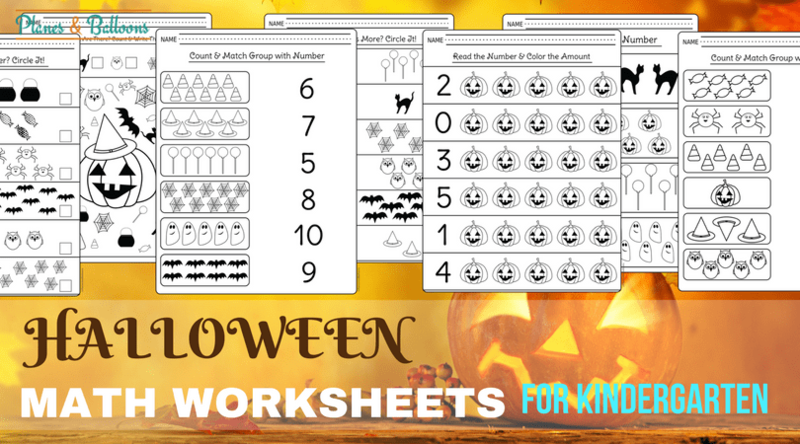 Check out these fun No-Prep Preschool Activities or Halloween Math for Kindergarten free printables! Or paint the pumpkins with fingerpaint. 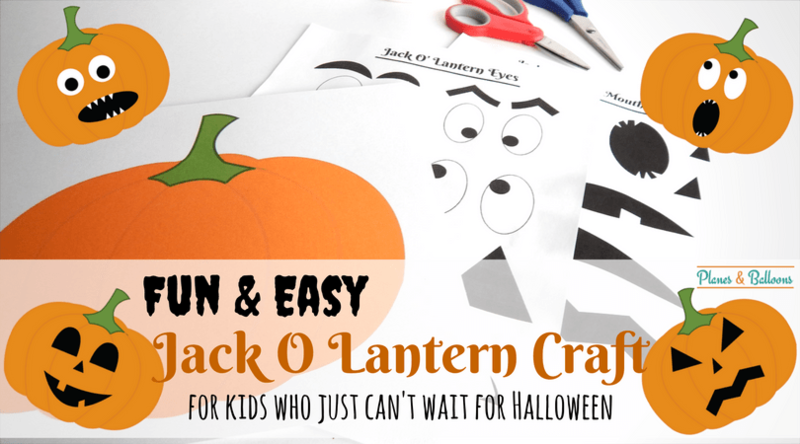 If you have a busy preschooler at home or kindergarten kids just waiting for the candy season to start, this Halloween Jack O Lantern craft is perfect for you. There are several options for making many different pumpkin faces. 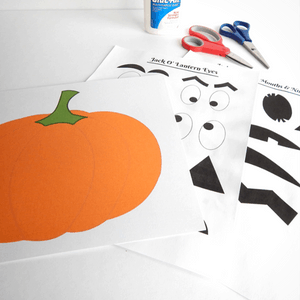 For a pumpkin, kids can easily use a paper plate. Just let them paint it orange, air dry for a bit and then glue faces on. 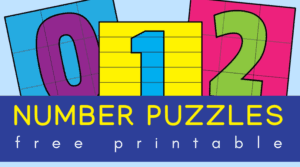 Another option is to print out the whole pack and have them cut out the nice orange pumpkin first. Then let their creativity get loose. 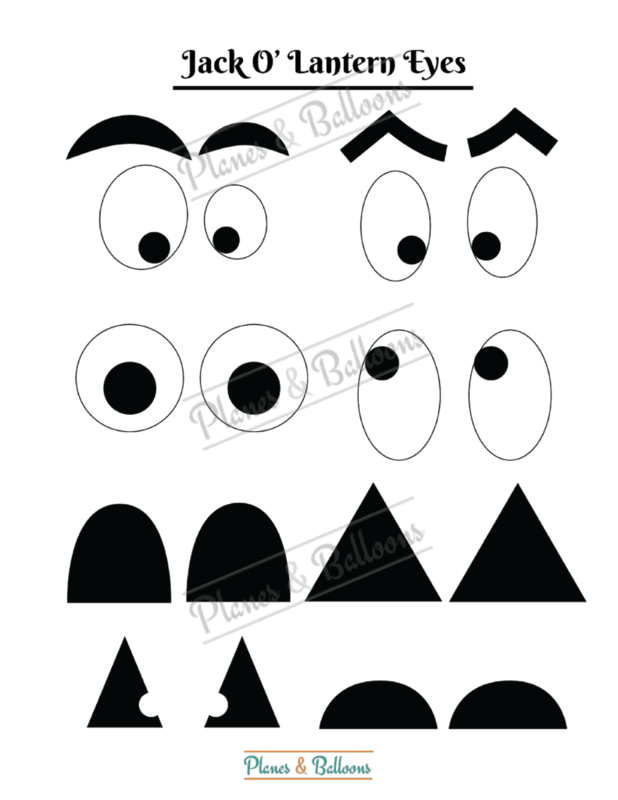 Have them choose from the different eyes and mouths designs, cut them out and glue on their pumpkin. And voila! a sweet (or mean) Halloween Jack O Lantern face! This activity works in a classroom setting as well. 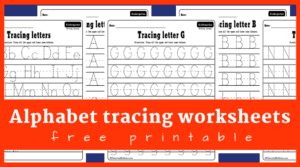 Especially for preschoolers who are working on their cutting skills. The download is easy. Simply click on the image below and save your pdf file. Then print. If your kids want to decorate more than one Halloween Jack O Lantern, print out the first page a few extra times. 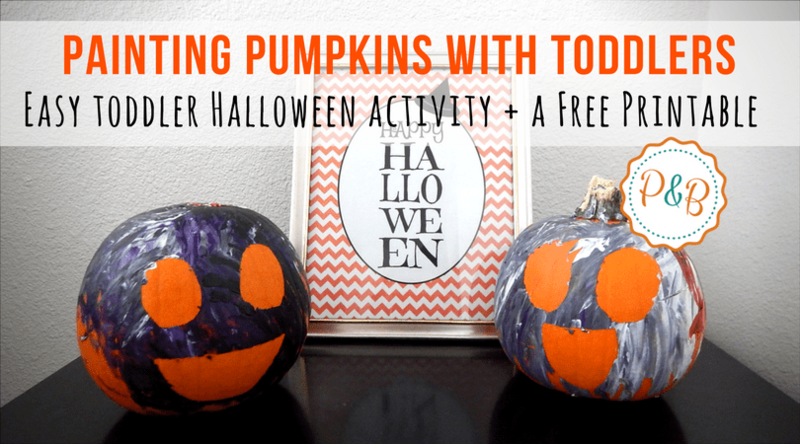 I really hope that you and your little ones will enjoy this activity together. And make sure to share it with your mommy friends, I will really appreciate that!